More than a century has passed since the first successful transit of the treacherous, ice-bound Northwest Passage by Norwegian explorer Roald Amundsen in 1906. 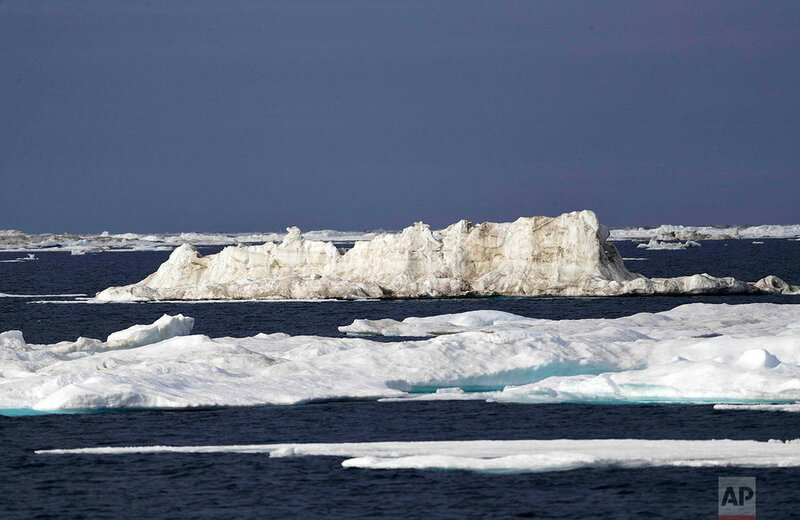 Now The Associated Press is sending a text, video and photo team through the passage, where global warming is melting sea ice and glaciers at an historic rate, altering and opening up the Arctic in a way unprecedented in recorded history. Although the passage presents an attractive shortcut for maritime traffic between the Pacific and Atlantic oceans, only a dozen or two vessels attempt to navigate the poorly charted Canadian Arctic Archipelago during the brief summer window each year. 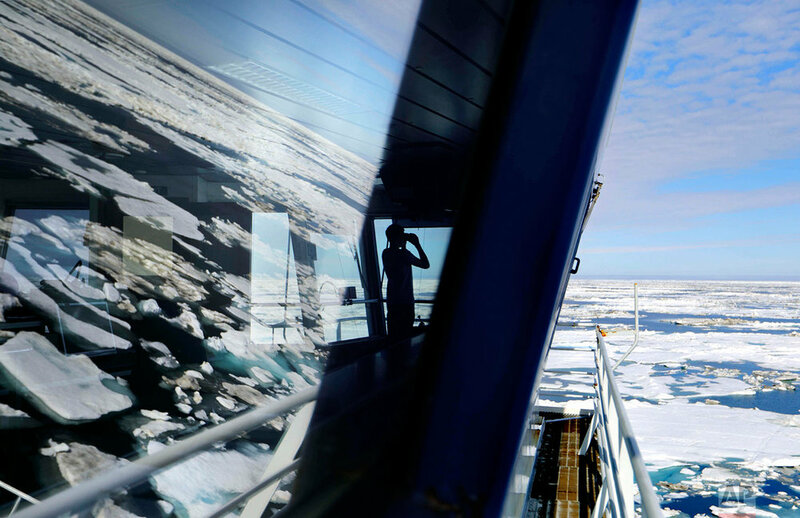 Many are sturdy coast guard icebreakers, adventure cruises and thrill-seekers in small, nimble boats hoping to pick their way through fields of floating ice that can easily strand unprepared mariners. 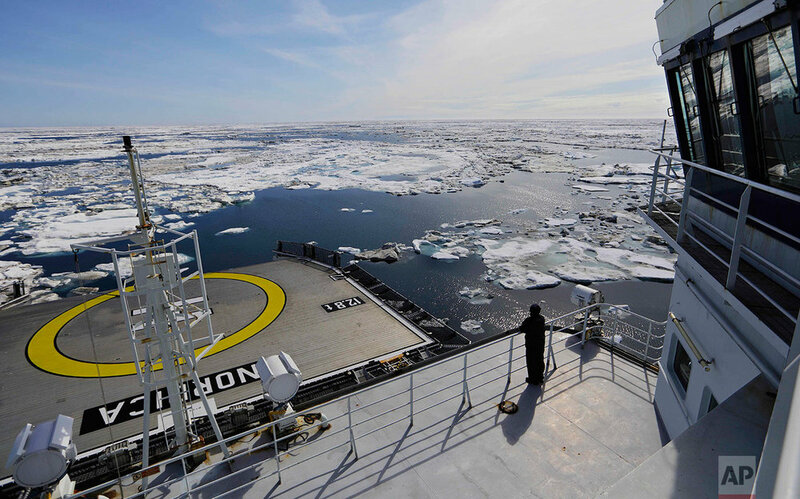 Some also consider the Northwest Passage a future alternative for freighters aiming to save fuel on the route from Asia to Europe, and there have been several test runs over the years. 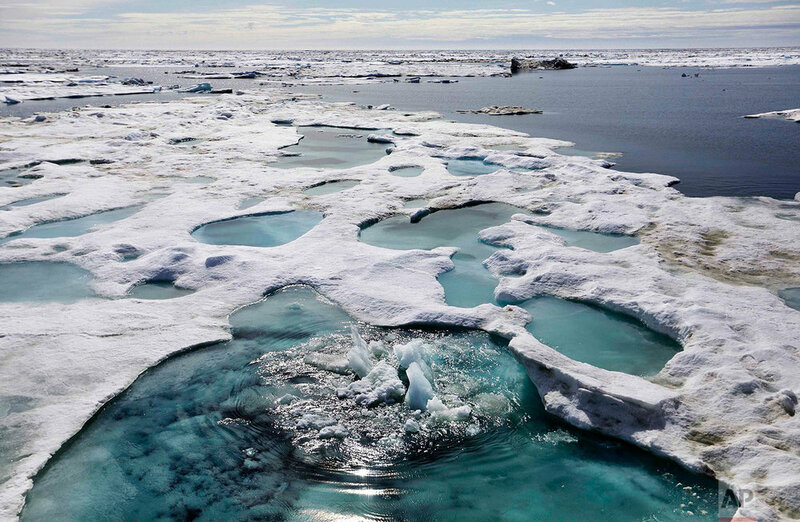 The region has become a magnet for nations wanting to tap into the Arctic’s rich oil reserves and other natural resources and for scientists seeking to understand global warming and its impacts on the sea and wildlife. 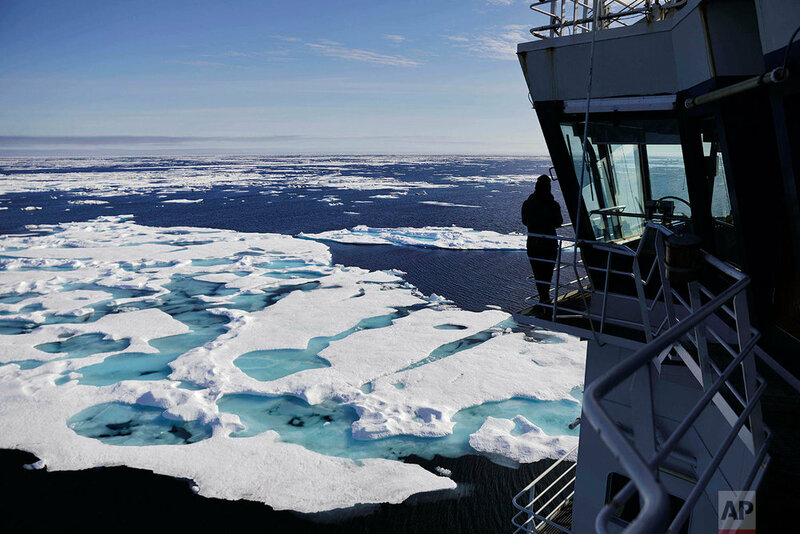 The AP is accompanying an international group of researchers for a weeks-long expedition on MSV Nordica, a 27-year-old Finnish government-owned icebreaker, to view firsthand the changes taking place in one of the planet’s most forbidding corners. This is the first post from the voyage, which began July 5 in Vancouver, British Columbia, entered the passage at the Bering Strait nine days later and ends in Greenland toward the end of July.